It's true that growing companies must manage overhead costs. It is also true that the cost of the talent needed to reach the next level can be a challenge for small companies that want to be larger. But, we believe that you can scale without becoming unprofitable. To manage the hurdles of business growth without losing it all, focus on three things: people, process and metrics. Read recap below, or link to the full article here. We have a client who reported to us some interesting comments heard at an industry-related seminar. A seminar presenter contended that as a business grows above the 50-employee size, it will become unprofitable until it gets above 200 employees. This happens, the presenter said, because, beginning at the 50-employee level, the company must take on additional overhead in the form of HR, IT, accounting and middle-management personnel. The solution, the presenter said, is to grow as rapidly as possible to this stage and then stay there until you can become profitable again at the larger size. We disagree. Personally, we know of dozens of profitable companies that have more than 50 and fewer than 200 employees. In fact, the two of us met in the 1990s while we were both working for a very profitable 110-person company. That company stayed in the 100-to -125 range the entire time we worked there. We were intimately involved with the company's management and its profitability. The company had HR, IT, middle management and accounting personnel and . . . managed to remain profitable. As you grow, you will need to start to make investments in talent. By this, we mean both more and better. Overhead positions. Growing and larger companies often have more complex needs in IT and accounting. 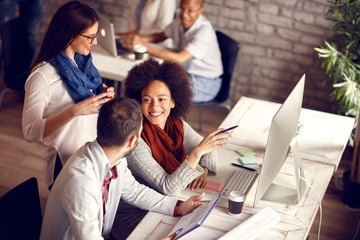 In addition, more employees often means more HR needs, as additional regulations apply and companies experience more employee-relations concerns. We recognize that these situations require professionals with more knowledge and experience. It also can be difficult for growing companies to pay the compensation required to hire this level of talent. However, most companies can afford to hire talent on a fractional basis. A fractional employee costs more on an hourly basis than an equally experienced full-time hire. However, initially, you may need fractional employees only a few hours per month. You can increase their hours as the needs of the company grow. In our experience, by the time the company hires full-time talent, the new hires actually reduce, not increase, costs, as 100 percent of a full-time hire often costs less than 75 percent of a fractional employee. Small companies can also struggle to pay the salaries and provide the perquisites necessary to attract top talent. Yet, it is this talent that is needed to take the company to the next level. This is one of the toughest problems facing small, growing companies. To attract the experienced employees you need, you may have to offer equity or other incentives. Enlist an experienced consultant, finance or HR professional to aid in creating these offers. Another issue we find is that small business owners struggle with choosing top talent. While they probably have experience in hiring front-line staff, hiring senior managers may be new to them. Lack of experience in this area can cost you and the organization. We have seen several business owners hire and pay for talent, only to be disappointed when the senior employees don't perform. The poor choice is compounded if the business owner is reluctant to terminate the poorly performing talent. This further drains the organization in cash and morale. We strongly advise owners to engage the help of an experienced recruitment firm or HR professional to help in the selection process. The additional cost can actually create future savings if this factor helps to find the right hire. On the flip side, owners also want to promote from within. They want to reward the loyal employee who has been with them from the beginning. However, in our experience, these employees rarely have the horsepower to take on top roles or move the business to the next level. You may have the exception working for you, but get an unbiased third party you can trust to advise you on these decisions. Moving someone back if you realize you have made a mistake in promoting him or her is worse than layering this person. A complete set of documented processes can help you to stay profitable as you grow. If you start documenting when you are smaller, it will be easier. However, at some point, documentation becomes necessary. Process documentation is how an owner communicates how he/she wants things done within the business without actually having to communicate every action, every day. Without a documented process, owners must rely on employees passing on procedures to new employees. Important information can become tribal knowledge or it may be lost altogether. 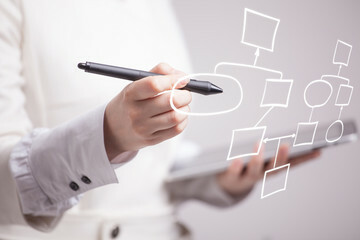 Today, there are several apps that can help you to expedite the documentation process. These tools can help you to identify what processes to document, keep documentation consistent and easy to access and make updates as processes change. While these systems are an expense, they'll save you money by reducing some management costs and quality issues. Documented processes help you to stay profitable while you scale. The third and equally important component to staying profitable while you scale is a set of metrics that tell you how your business is performing on a daily, weekly and monthly basis. When businesses are very small, the owner may know exactly how the business is performing. After all, this individual is involved with every transaction. However, as a business grows, this becomes impossible. Good metrics are more than your P&L. They must encompass all of the key aspects of your business. While we wish we could provide a list of the metrics you'll need in your business, that's impossible because each business is unique; therefore, each business must have a unique set of metrics. Again, a good business consultant or CPA can develop the metrics to run your growing and profitable business. Don't put this off. As your business becomes larger, the cost of not recognizing when something is off track becomes greater. Going back to the presenter at that seminar: We agree that businesses with 50 or more employees are more complex and more difficult to run than a one or two-person shop. However, they don't have to be unprofitable. Focus on people, process and metrics and hire the knowledge you need on a fractional basis, and you can grow and stay profitable. Entrepreneur Magazine is the premier source for everything small business. Interested in learning more about how BizX can help to grow your business?